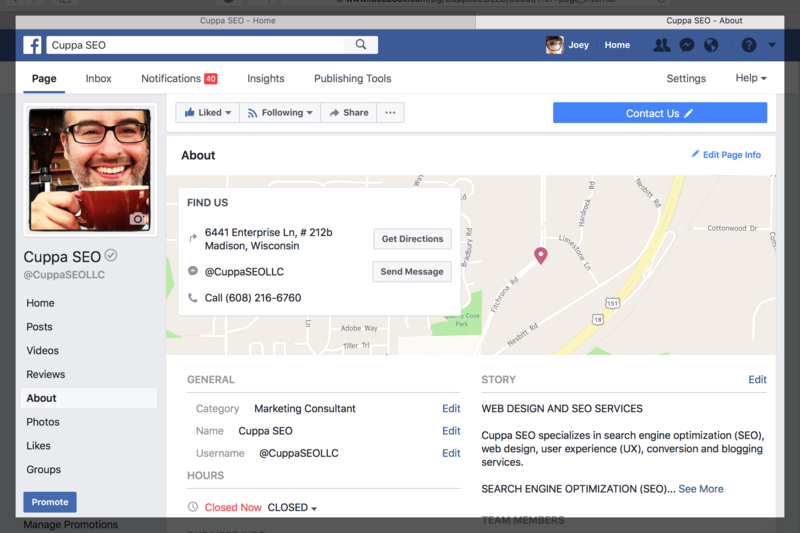 In this part of our Optimizing Your Facebook Business Page series we’ll tackle the Story section. Remember the Story section on your Google My Business page? 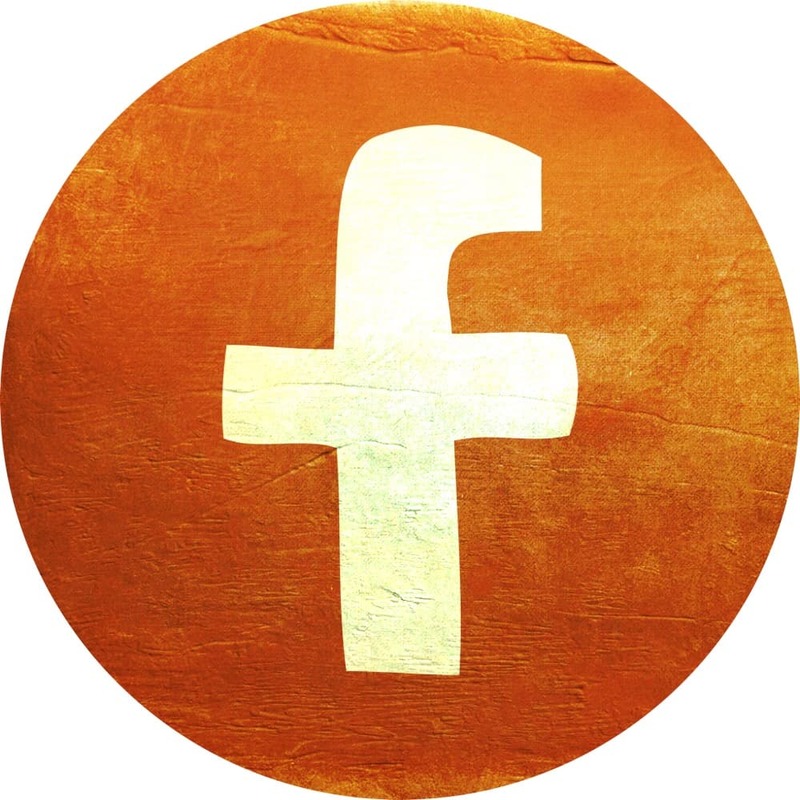 The Facebook Story section serves the same purpose — to inform visitors AND Facebook with specifics about the services and/or products you provide. My recommendation here is to pare down and slightly refresh your Google My Business Story a bit and place it here. Why a slightly refreshed Story? Because you don’t want it to be a duplication of what you have on Google My Business, or anywhere else. We want to make sure your Story, on each social media platform, appears “fresh” to Google in case they’re looking (this is a precautionary measure). Overall, the content can be similar — same products and services, of course — but we want to avoid duplicate content! My Facebook Story is 2,891 characters long, and I’ve tested up to 3,000 characters, which is more than enough to provide good, relevant, optimized content. Cuppa SEO creates websites with search engine optimization, user experience and conversion brewed right in. What that means, in plain English, is we build websites that get found, build trust, and make it easy for visitors take the next step in becoming a customer. We start off with a site design that’s customized to your company’s personality, goals and needs. You won’t find any cookie-cutter designs here, just fantastic, beautiful design that engages with visitors from the moment they arrive on your site. Our web designers build sites in WordPress, Drupal & Expression Engine. Every site we build is optimized with SEO baked into every nook & cranny, plus we make them mobile friendly, too. In addition to creating great-looking sites, we also make sure they have solid user experience & conversion strategies in place. SEO services include in-depth research of your industry & the creation of a comprehensive list of optimal keyword phrases that can be implemented into your website, blog & social media campaigns. Successful SEO includes implementing these keyword phrases into critical areas like title tags, alternate image tags, headlines & page content to improve your visibility with search engines. The result is more traffic on your website, & with more traffic comes the potential to increase your revenue. Once our SEO efforts bring more traffic to your site, UX comes into play. User experience is exactly what is sounds like — the positive, negative or indifferent experience a viewer has when they visit your site. Our web design process ensures your UX is positive, so visitors immediately feel comfortable when they arrive on your site. We also make sure that all content, imagery and calls-to-action are easy to digest — without having to think about it. This adds up to a pleasant experience that helps build trust. Now that we’ve got visitors feeling good about where they’ve arrived, we need a solid conversion strategy to ensure they know exactly what to do next. Whether it’s filling out a contact form, giving you a call, or downloading some complimentary content, our conversion strategies make next steps crystal clear. Whether you’re a business connecting with customers & building brand awareness, or an individual talking with your audience, a blog is an effective way to communicate & build relationships. A blog can go a long way in making you a trusted, relevant resource. It has the ability to improve engagement & overall reach — plus it’s a perfect medium to express oneself, be heard & help others. Cuppa SEO offers customizable blogging packages to meet your needs, & your budget. Every blog post is optimized for the search engines & the human eye. Please feel free to contact Cuppa SEO with questions or for more details! That’s it! When you’re done be sure to save, and your Facebook Story is now optimized! Do you recommend putting any links in your Story on Facebook. I have links to my Yelp and other directories or is that not really needed? I went by your template provided here to make mine much better. The question I have is what about links? Or does that really not carry any weight? Are you suggesting having text links in your Facebook Story that lead to your website or blog? What would be your specific reason for this? Increased traffic?